Mount Merrion Historical Society host the last talk of their season next Thursday evening May 3rd. The subject is probably one of the most controversial men to live in Mount Merrion—General Eoin O’Duffy. And the speaker is TD/Senator/NUI Chancellor/ Author and Novelist Dr. Maurice Manning. 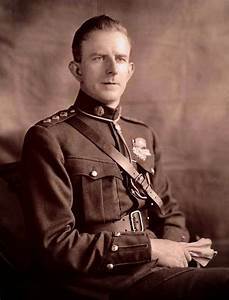 Eoin O’Duffy (1890-1944), native of Co. Monaghan, revolutionary, pillar of the nascent Irish state, military leader, sports administrator, controversial politician and militant, lived the later years of his eventful life in Mount Merrion up to his death at 54. He was O/C of the Monaghan Brigade of the IRA in the War of Independence; took the pro-Treaty side in the Civil War. He was a TD in the second Dail (1921-23); had a leading role in the new Free State Army; was IRA Chief of Staff in 1922; later developed the new Garda Siochana as the 2nd Commissioner. In early ‘30s became head of the Army Comrades Association, a parallel militaristic political movement popularly known as the Blueshirts and took up increasingly fanatical anti-Republican and anti-Bolshevist positions including the cause of the pro-Franco faction in the Spanish Civil War (1936-39). O’Duffy’s fascist leanings were again exposed in the early stage of WW2 (offered to collaborate with Nazi Germany) and he became an ignored figure on the fringes of politics. Dr Maurice Manning, a native of Muine Bheag, Co Carlow and long-time resident of Dublin, is an outstanding academic and member of the Oireachtas , as Fine Gael TD and Senator, for 21 years. He is the author of a definitive work on the Blueshirts as well as a biography of James Dillon. In recent years he has served as President of the Irish Human Rights Commission and as the Chancellor of the National University of Ireland (NUI). Venue: Mount Merrion Community Centre 8pm Thursday May 3rd.